A drum set in the living room. Guitars all over the place. A pink plastic keyboard on the coffee table. Spontaneous eruptions of lyrics out on pasture with the chickens (Jack the rapper). Band practice at our house. 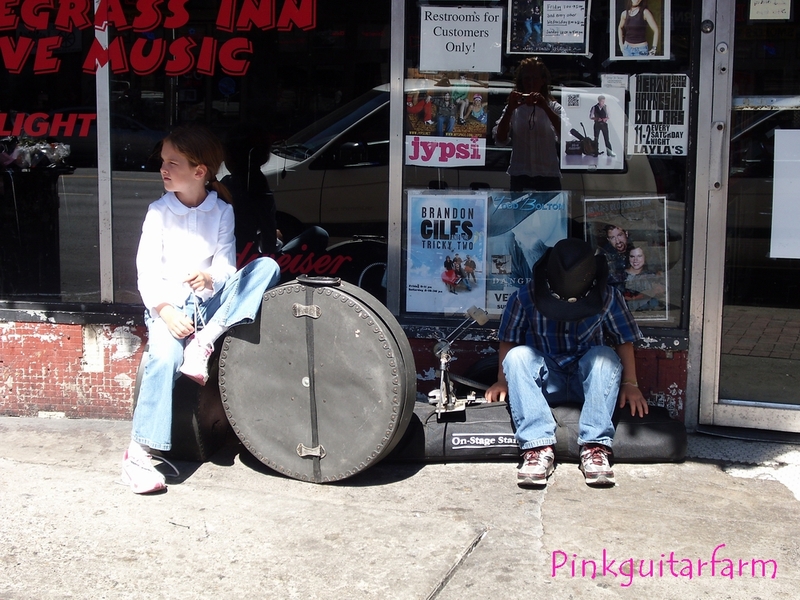 Music is an ever increasing part of life here at pinkguitarfarm and wherever else they’ll listen to us.